Finally, an bounce house, moonwalk, combo inflatable for the little guys. 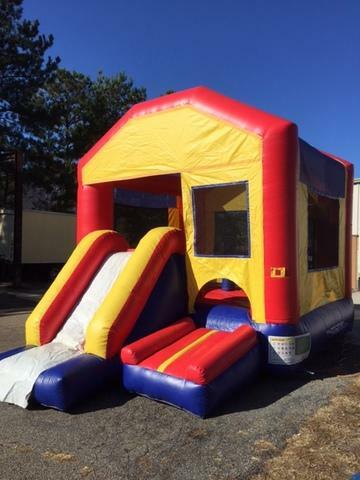 They can bounce, run, climb, and slide on their own inflated combo. No big kids allowed!